VW Camper Conversions located in North Norfolk. DubMotion Campers is a small, family run business with a massive passion for what we do. Using some of the biggest brand names on the market, we specialise in the design and build of Volkswagen T4, T5 and T6 camper vans and pride ourselves on our attention to detail. As well building our own vehicles for stock, we can also convert your own camper van to a specification of your choice. 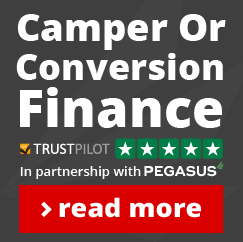 So whether you want a complete VW camper ready to hit the road, a bit of help with converting your van or a full conversion on your own van, we would be more than happy to help. At DubMotion Campers, we are a small husband and wife team with two young children. We understand that handing over your pride and joy is a big thing and treat every conversion as if it was our own. Being a small company, we don’t take on more projects than we can cope with so you can rest assured your conversion gets the attention it deserves. Whilst you are in full control of your conversion, we are more than happy to offer advice on anything you’re not sure of along the way. We were lucky enough to meet Steve last year who turned our panel van into the most beautiful camper. We looked at a lot of other companies but Steve’s personal approach and obvious passion for his work made choosing DubMotion campers easy. I can not recommend Steve highly enough – His attention to detail is amazing, the finish is of the highest quality and his design idea have added so much to the space. Steve kept in constant contact with us during the conversion, updating us on progress and making helpful design suggestions. We are very happy and are looking forward to many more camping trips this year. After searching for a good couple of months, for a really good quality camper van conversion company, we finally found Steve at Dubmotion Campers, and we are SO GLAD WE DID!! There are a lot of companies out there who convert campers, and we had quite a few local ones – but not one of them was up to the quality of Steve’s vans. We have just picked up our beautiful black T5 conversion, and its absolutely stunning!!! Excellent value for money, if you want a VW conversion, this is your team!! Chloe did an amazing job of the interior – flawless.. We can’t wait to see you both for a camp out somewhere!! Having contacted a number of van conversion businesses I happened to come across Steve at DubMotion. After a few weeks checking out various camper conversion companies we decided to visit Dubmotion. It’s a big commitment and of course a fair bit of money having your van converted so you need to know that whoever is doing it it will be right. From the moment we met Steve and his lovely wife we knew this was the right place for the Spudbus it’s not just a business to them they care and take a lot of pride in what they do!! We were involved from start to finish choosing colours and all our requirements, I also crazed Steve for picture updates which he obliged Day to day.